Silent Night – With a Vengeance! Most beloved among the songs of the holiday season is Silent Night. We know for sure that the original words to “Stille Nacht! Heilige Nacht”, were penned by Father Joseph Mohr in 1816 and arranged for guitar by Franz Gruber on Christmas Eve in 1818. The song was performed later that evening by the two men at midnight mass at St. Nicolas Church in Obendorf Austria. Joseph Mohr spent the next 30 years of his life in the clergy and died penniless with all his earnings donated to the care and education of children in the town where he lived. Gruber was the schoolteacher, organist and church caretaker in Arnsdorf. He also had the responsibilities of organist and choirmaster at St Nicholas Church in the neighboring village of Oberndorf bei Salzburg which is how he came to work with Joseph Mohr. In 1835, Gruber moved his family when he accepted a position as choir director, singer and organist for the parish church of Hallein. Among his responsibilities there was to manage the man church trust funds. Gruber passed at the age of 76 on June 6, 1863 leaving four children, one of whom, Felix Gruber, took over his responsibilities as choirmaster. Most of the facts leading up to night where the song was arranged are lost to history. There are tall tales that the song was arranged in a rush that night because mice damaged the organ. There are also absurd claims involving railroad barons and priestly politics culminating in the first performance. What is more interesting, I hope is the tall tale I want to present to you here tonight describing what happened over the next 170 years. Following the first performance, the song went as viral as a Christmas song could in the 1819. It is believed that organ repair man, Carl Mauracher, obtained a copy of the song and shared it during his travel. The song found its way throughout Europe in the 1920s. The version of the song most recognized today was published in 1859 by an Episcopal priest, John Young of the Trinity Church in New York. What most people don’t know (mostly because I am about to make it up as I go along) was that Gruber was determined not to die penniless as Mohr did. Gruber learned quite a bit about finance in dealing with the Church trusts. All the internet money earned by the Gruber family from CD sales were funneled into German bearer bonds. The problem with bearer bonds is that one has to have possession of the actual bonds to claim the dividends. Unfortunately the Germans confiscated those bonds from Gruber’s great-grandson and they were used to support the Axis Powers during World War II (these bonds had a really long term, just go with it). Most of those specific bonds were used to pay then Japanese ship-builder, the Nakatomi company. 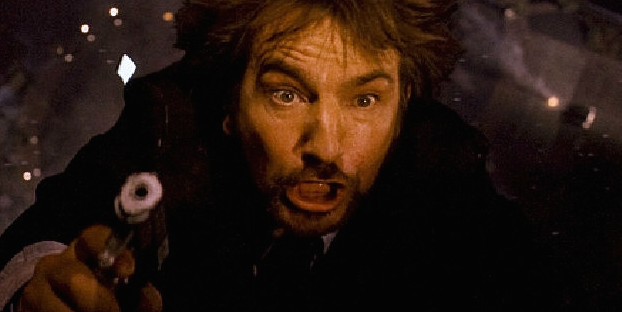 Ultimately, the great-great-grandsons of Franz Gruber, brothers Simon and Hans Gruber were able to trace the bonds to the headquarters of the Nakatomi building in Los Angeles in 1988. Hans lead a team of well-trained monks to take back possession of the family bonds. Unfortunately, Hans’ team was defeated by meddling New York Police Detective John McClane (who coincidentally worshiped at the Trinity Church in New York where the modern version of the song was coincidentally penned ). McClaine brutally murdered Hans by dropping him to his death. In 1995, McClaine hunted and directly orchestrated the helicopter crash of Hans’ brother Simon Gruber. This execution took place Canada, where McClaine had no jurisdiction. So next Christmas when you and the family get together to watch that classic family Christmas movie, Dïe Hard, remember to question the interpretation of events as they may have been skewed to making you believe a history that may or may not be true. You know what they say, you can’t believe everything you see in the newspaper, the news, or your friendly neighborhood blog post. For those who want an evengreater challenge (optional), make your post 200 words EXACTLY! Imago: Insect in itssexually mature adult stage after metamorphosis. Lacuna: A gap or space. Synchronicity: Events that happen together by chance. Like in that Asimov novel, the two mirror suns of Miasma II preclude nightfall. I’ve been stuck here for 329 days, about 3 Earth months. I survived the crash of my ship, but I’m starving to death. I could complain about the series of events that brought me to this crap hole, named for its noxious smells, but instead, I’ll be grateful for the synchronicity of my life. My supplies will last another month. They won’t start looking for me for a month after that. I’m eating one meal ration per day to draw out my chances. In the lacuna, I’ve started eating the only thing that lives on this planet, bugs. There’s this species that comes out at the hottest part of the day. The male dances around like Richard Simmons and if he’s unlucky he mates with the female. Unlucky because after they are done, there is this moment where she stares, winks, and with a little oscitate, bites his head off. It’s the funniest thing. I like snatching and eating the little fella right before she kills him. Better me than her. Poor little fella probably thought he was doing alright before he died, kinda like me.